Which local snacks get our members’ thumbs up? 344 words, approx. 1.5 minutes to read. Our local food team has been on a quest to find out which locally-made goodies get members grazing. We asked members to share their knowledge of snacks, sweets and biscuits that go down a treat where they live, as my team got cracking with our latest range review. Our eyes were opened to some delicious local offerings. We’ve had recommendations from all over the UK – from the biscuits of Tobermory to the ice cream of Truro and a whole host of heavenly offerings in between. We’re now exploring which of our members’ favourites we can get into our stores. 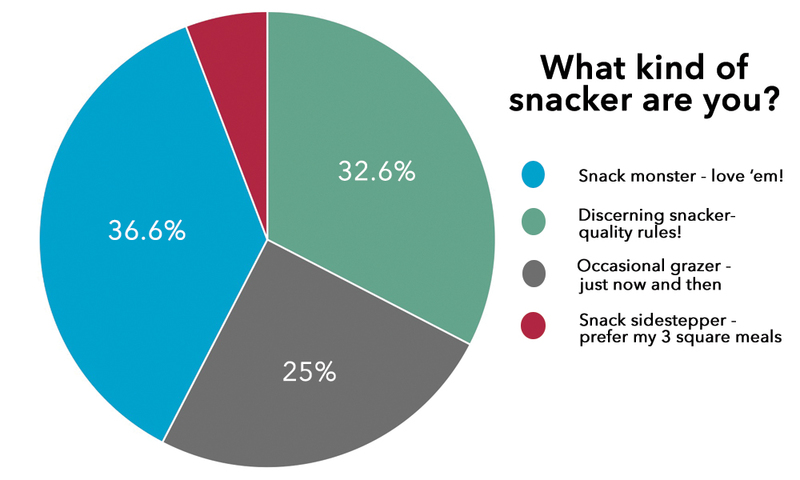 It would appear our members are, on the whole, a snack loving lot, with 7 out of 10 readily identifying themselves as either a ‘snack monster’ or a ‘discerning snacker’. South West members responded in the largest number – a great indication of the love they have for their local food, and the number of great quality small producers in the region. Some of the products suggested by our members – Fiddlers Crisps and Cartmel Sticky Toffee Sauce for example – are part of the new Cumbrian range that has just launched in 18 stores this week. Many more were actually already part of our local and regional ranges, so we’re now working hard to give them a larger profile in our stores. It’s brilliant to see members working with us to develop our local range in this way. We’re still very much working on the member recommendations that came out of our previous local products discussion on real ale. For instance, 4 of the 6 breweries that make up our recently-launched Cheshire ale range were recommended by members through Join In. Cheshire members may also be interested to hear that there’ll be opportunities to sample these beers in our larger stores in August. We’ll continue to explore all these member recommendations as our new local and regional ranges are developed across the UK. In the meantime, please head over to Join In to check out the opportunities for you to get involved with your Co-op right now. This is really great! It’s good to see local trade getting sales they deserve. Thank you!